Those of you who know me personally know that I’m not exactly the most organized person on the planet. (<–Understatement of the year.) It’s just not built in to my DNA. That might be fine if I were also able to handle being around clutter. But I can’t. I like when things are easy to find and not sitting out everywhere. But it doesn’t come naturally to me. My MO tends to be to not organize things until it gets so bad that my brain is on the verge of exploding and then have a marathon cleaning/organizing session so I can resume normal function. Yeah, it’s not really an ideal situation. 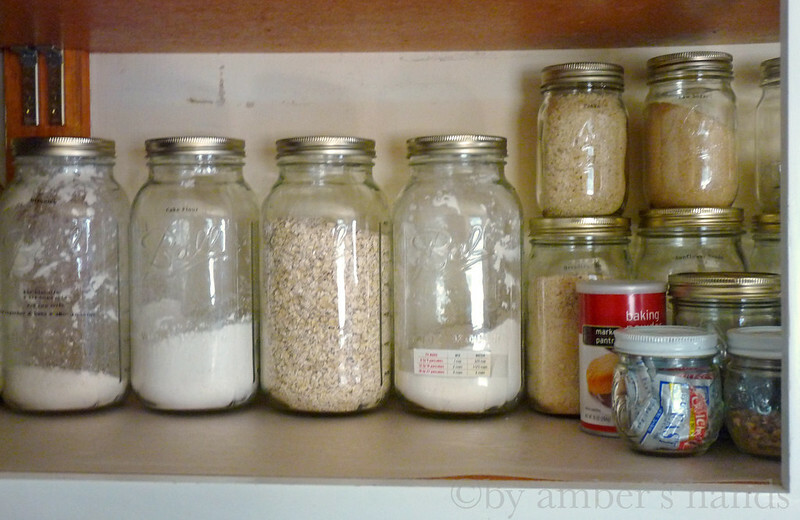 One step I’ve taken as a preventative measure to brain explosion is to organize my kitchen clutter with mason jars. You know how kitchen ingredients tend to come in a lot of bags and boxes and the like? 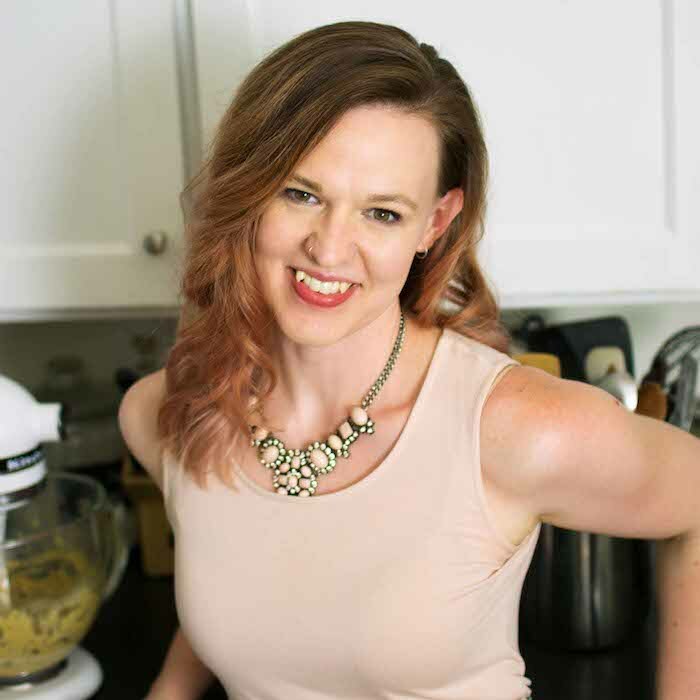 And then you have to try to store half-used bags of chocolate chips and nuts and open boxes of couscous and baking soda all together in your cupboard and THEN you have to try to find what you need again someday? Well, I just bought a bunch of mason jars and put those ingredients in them instead. I didn’t come up with this idea. 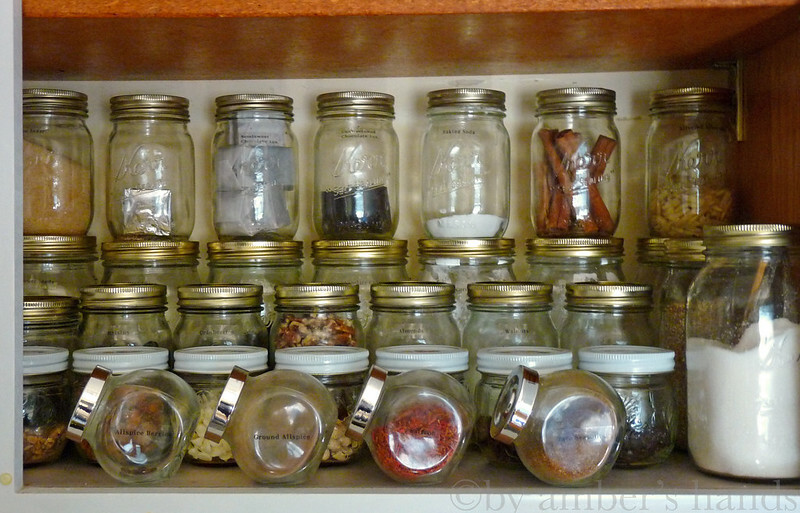 My friend Elizabeth does this, only she has these beautiful antique jars with the zinc lids. Hers are much prettier than mine, but if you’d seen what my cupboard looked like before, you’d see that this is still 100x better than it was. I used my label maker to add labels to many of my jars, mostly so I don’t accidentally use cornstarch instead of powdered sugar or something. And so Hubs can find things. And because, despite the fact that I’m not organized by nature, I’m a little bit of OCD about some things. I also got these larger jars for bigger bulk items. If I buy something like pancake mix (the jar in the center of the photo) I cut the instructions off the box and tape them on the jar so I know what ratios to use. What about you? What do your cupboards look like? Do you have a sweet system for organizing, or do you have to duck when you open them in case your pantry staples come falling down? I have no cupboard space. So I organize by… not having food so my cupboards don’t get overly full. Ta daa! Love this idea Amber! I have 12 mason jars sitting around in the back of our kitchen. I should use them and re-organize! Thank you for this inspiration!